Be our guest and let us hold your keys! Finders Keypers are statues of your favorite characters with a built-in key chain holder for your keys. 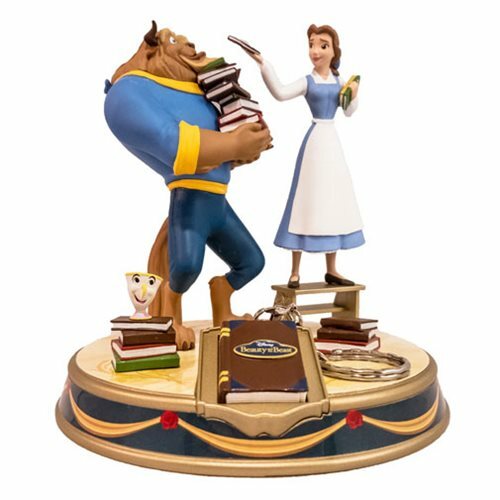 This highly detailed statue presents Belle handing the Beast some of her favorite books on a diorama base that also features a storybook as a removable key chain! The Beauty and the Beast Finders Keyper Statues measures approximately 5 1/2-inches tall x 5 1/2-inches long. Ages 14 and up.